By clicking on the button below you can access the E-commerce page of QRPlaza and select the model, color, size and quantity of the QRPlaza T-shirt you want. QRPlaza T-shirt: the only T-shirt that talks about you! QRPlaza T-shirt - the T-shirt comes alive! Anyone who reads the code on your QRPlaza T-shirt will be in direct contact with you and will be able to comment all your contents. Possibility to share what you love. 2. You can share videos, songs, playlists, pictures, personal files, etc. 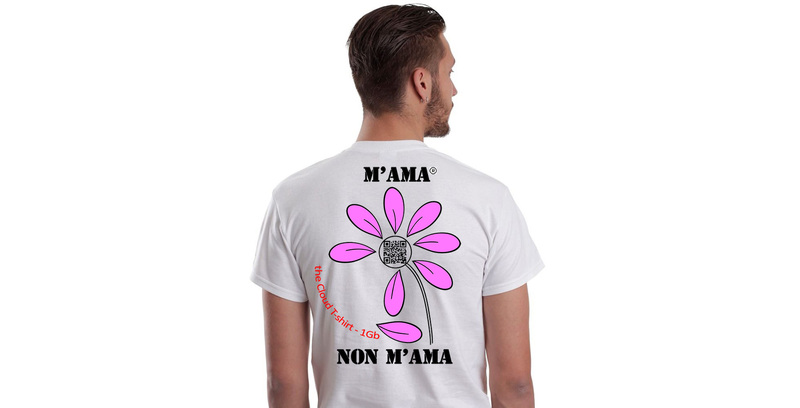 Not just a T-shirt: M'AMA NON M'AMA is not just a T-shirt, but a tool to tell your stories, your thoughts, your mood and your state of mind, to remember the best and significant moments in your life. 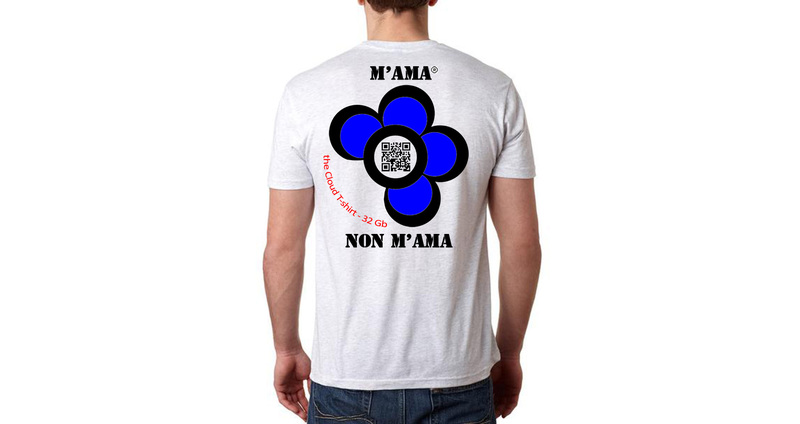 With the M'AMA NON M'AMA T-shirt you can share your favorite songs, your playlists, your holiday photos, the videos you prefer and show them to friends and to those who want to meet you. M'AMA NON M'AMA is also a game where through the state, associated with your T-shirt, you can let people know if at sentimental level you are free (green trafficlight), undecided (yellow trafficlight) or busy (red trafficlight). Anyone who reads the code on your T-shirt will be able to view, if you wish, the status you are in and get in touch with you. Possibility to upload files, photos, videos. On each QRPlaza T-shirt you can also upload your files and memories. And protect them with password and 256-bit encryption keys. Please click and read the QR-codes in the images below with your smartphone and a QR-code reader to view the content associated with some QRPlaza T-shirt. Demos of content associated with QRPlaza T-shirt. On each QRPlaza T-shirt you can link videos (Youtube, Vimeo), playlist (Soundcloud, Youtube), photo (Flickr) and personal files. Anyone who reads the QRPlaza code will, if you wish, will contact you and comment on the contents associated with your QRPlaza T-shirt. 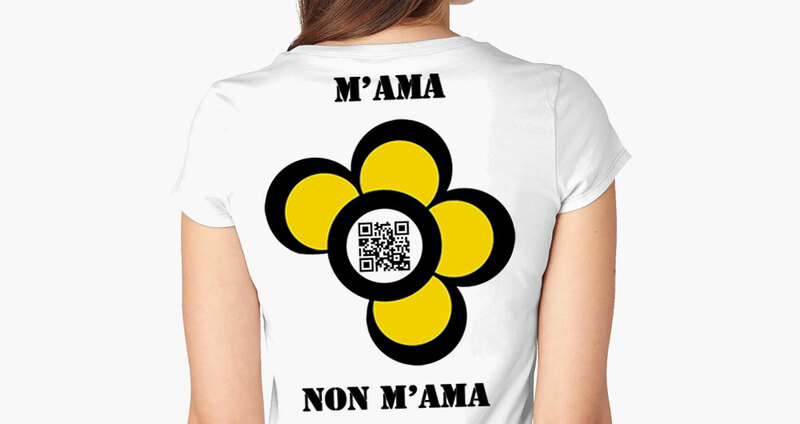 You can continue to wear your QRPlaza T-shirt and protect your privacy with a password or by deactivating the T-shirt code by going to 'My QR-code' of QRPlaza. QRPlaza T-shirt lets you share with your friends, playlists, photos, documents, presentations, and files that you love most. You can, as in this case, protect your personal files with a password. In this simulation on the QRPlaza T-shirt have been uploaded some tweets, music videos taken from Youtube and images uploaded to Flickr.